Salary: £33 – £36.4k (subject to job evaluation within 12/18 months). The Care Inspectorate’s role is to regulate and inspect care and support services, carry out scrutiny of social work services (including criminal justice social work services); and, conduct joint inspections with other scrutiny partners of services for adults and children. We have a significant role in providing assurance and protection for people who use services, their families and carers and the wider public as well as supporting delivery partners to improve the quality of care for people in Scotland. Reporting to the Policy and Communications Manager, you will deal with frontline media queries and also help plan ways of using the media to ensure people are aware of our inspection findings. You will help develop an effective approach to corporate communications on behalf of the Care Inspectorate, responding swiftly and accurately to events and requests. You will provide support and advice to staff at all levels, up to Director and Board level, to assist in their interaction with the media and will brief journalists on complex issues, proactively and reactively, and prepare comments and statements. This is a new post, previously outsourced, so the successful candidate will have opportunities to influence and shape ways of working. 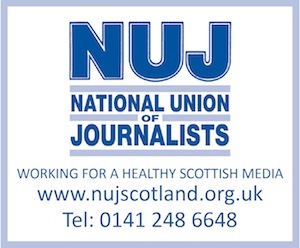 You will be educated to degree level with experience of working as a press officer or in the media, a good understanding of how both traditional and social media work, and an excellent written style. Some out of hours work will be required. The Care Inspectorate has its headquarters in Dundee, but with offices throughout Scotland, the base location is negotiable. If you would like more information or for an informal discussion, please contact Rami Okasha on tel: 01382 207108 or by email : rami.okasha@careinspectorate.com. If you believe that your qualifications, expertise and self-motivation make you a suitable candidate for any of these posts, please download an application pack from our website, here. Completed application forms should be returned by email to our recruitment mailbox – recruitment@careinspectorate.com no later than 23 August 2013.